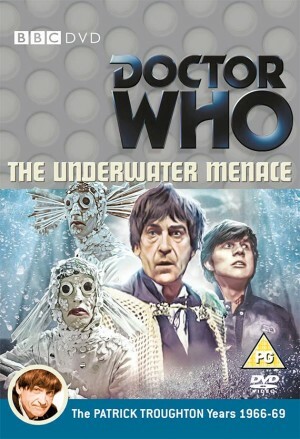 Doctor Who: THE UNDERWATER MENACE DVD Review | Warped Factor - Words in the Key of Geek. Tony’s not a fish person. It’s a perverse and depressing reality in which Ian Levine, one-time advisor to on-screen Who and general noise-maker ever since, is right about anything. It’s a perverse and depressing reality in which we now live. THE MOST DISGUSTING INEXCUSABLE SHITE I EVER WITNESSED IN MY ENTIRE LIFE. Rwandan genocide? Bosnian ethnic cleansing? Two Iraq Wars? 9/11? The current refusal of Western governments to help the Syrian refugees? Nope, the Underwater Menace recons are the most disgusting inexcusable shite Ian’s ever witnessed. And to be fair to him, Ian’s the man who wrote Doctor In Distress, so he knows disgusting inexcusable shite when he sees it. Let’s not get ahead of ourselves here though. First and foremost, this is The Underwater Menace. 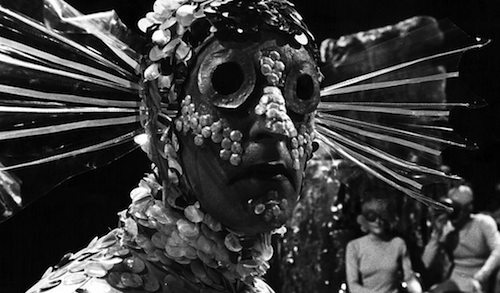 Even had all the episodes been recovered and released in pristine form, it would still be The Underwater Menace, one of the worst Doctor Who stories ever committed to camera. Check it out on The Twin Dilemma Scale of Godawful Wretchedness. Demented plot to blow things up for no good reason – Check. Lead villain with no discernibly sensible motivation, except Reasons – Check. Hideously ill thought-out alien costumes – Check. Staggering overacting (technically borrowed from the previously applicable Horns of Nimon Scale of Godawful Wretchedness) – Check. The Sylvest twins – well, fine, I said it was one of the worst. Whereas when The Web Of Fear was found and released, the excitement was both palpable and reasonable, and when The Enemy Of The World was released simultaneously, it benefitted from The Web Of Fear’s reputation, but surprisingly stood up extremely well on its own merits, when it comes to The Underwater Menace, there’s little to stoke the excitement and the buying frenzy, except of course the shrink-wrapped insanity of fandom which hyperventilates if it allows a gap to exist in its collection. And then there’s the way it’s been delivered. Given experiments with animation, you wonder at something as poorly thought-through as this. Of course, you have to ask whether a story like The Underwater Menace would be worth the costs of animation, and it undeniably wouldn’t – there’s only so much polishing The Underwater Menace can take. But still – there’s over-polishing and then there’s due diligence so you can sleep at night, and even that doesn’t seem to have been done here. The most galling thing, and one you encounter early, is that the images don’t move for so very long that they actually detract from the experience, confusing your brain as to where you are, who’s on screen according to the audio, and what’s going on, actively lessening the grip of this already pretty ropey story on your imagination. It tests the patience of even the most devoted fan to sit there watching still photos be still, while the audio moves on at a much breezier pace. The result is that it actually makes you think that The Underwater Menace is worse than it really is, and if you can get through a whole episode of the unmoving stills in one sitting, good luck to you – you have lower blood pressure than I do. In fact, you may technically be a three-toed sloth. The reason the slowing, confusing pace of the visuals is so galling is because it’s quite unnecessary. 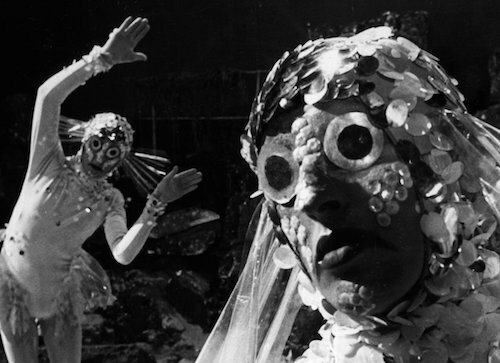 We’ve had decades to wait, and it’s not like The Underwater Menace hasn’t been reconstructed before. The audio version from the BBC used narration to move the listener on between actions and scenes, covering for the moments when the shift isn’t clear. What’s more, recons from Loose Cannon and others were done with a sensitivity and care that made it feel like a labour of love, which is the feeling that’s most lacking in this official BBC version. It’s a strange sensation, especially in the light of New Who and the BBC’s dedication to at least looking like it believes Doctor Who is one of its favourite jewels, to see such slapdash and downright shoddy ‘I can’t be bothered, take this and shut up’ production ethics in an official product, and it’s utterly disheartening to boot. It feels like being an addict despised by a pusher who just wants you to get out of their face, frankly. ‘Here, take this Underwater Menace. Sure, it’s cut with extra shoddiness, but hey, what do I care?’ And we buy it, because of that otherwise-nagging gap in our collection. But still, it’s a shame. Now, all this may have made you think I have nothing positive to say. Au contraire. 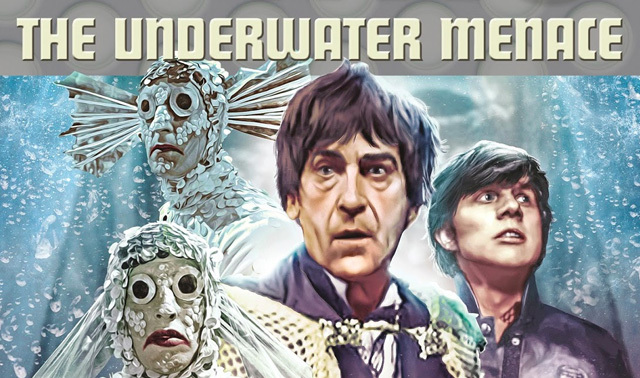 What the recovered episodes of The Underwater Menace make abundantly clear is how much we’ve actually lost by not having more Patrick Troughton stories intact. When Troughton’s on screen here, you begin to appreciate, in a way you can’t either from stills, from audio or even from animation, how powerful a performer he really was. You don’t want to look anywhere else - which, given Joseph Furst’s demented performance as Zaroff, and the weirdness of the Fish People, and the always-excellent Colin Jeavons, who usually, with a killer combination of that voice and his expressive face is enough to steal any scene from anyone, is really saying something. You appreciate here, as perhaps you don’t get so much of a chance to do in some other stories, how much acting Troughton did without saying a word. 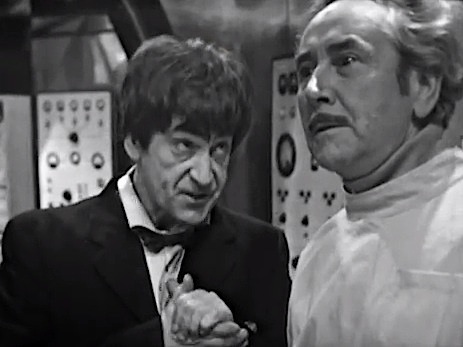 Check him out in his Episode 2 scenes with Zaroff, and you gain a new appreciation of how electrifying this (then still relatively new) Doctor was, how he captivated a nation of children who were used to twinkly, avuncular Uncle Bill. More than stories like The Invasion or Tomb of the Cybermen, it’s stories like this, and the in-its-own-way-equally-weird Mind Robber that allow Troughton to shine – perhaps coming forward in the light of the lack of anything else of sense to watch. Bearing in mind that this is the earliest Troughton we now have in our ‘official’ collection, it’s a way of getting in touch with the excitement of those early days, and going a little beyond what you already think you know about Troughton’s ‘in situ’ Second Doctor, who’s more sparkly and slippery and above all dangerous here than he ever was when he returned to the show outside of his own time. 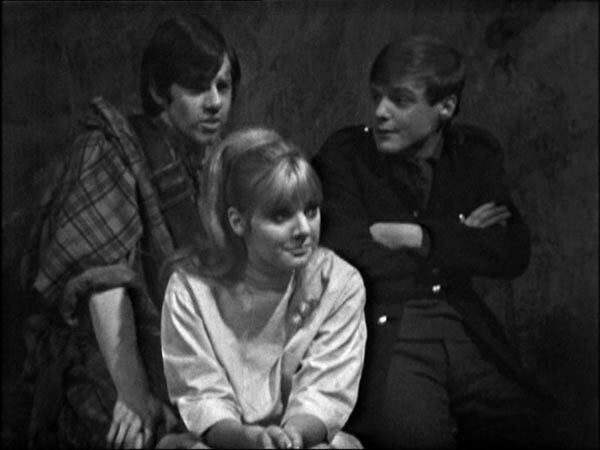 The companion-actors too are better here than they sometimes had the chance to be, Frazer Hines proving why the Production Team thought highly enough of him to change his destiny entirely, and Anneke Wills and Michael Craze delivering sturdy companioning throughout – Wills in particular showing significant fortitude against the insanity of what the plot calls for from her. Oh, bless ’em. The Fish People have little option but to go down in history as a ‘What Were They Thinking?’ creation – though of course the truth is more forgiving: they were thinking about what could be delivered on a budget of spit and sixpence, and to be fair, they’re not perhaps as entirely bad as the history of still close-up photos has made them seem. Certainly when they first appear on screen, there’s an exciting, slightly shocking ‘What the hell are these?’ feeling to them, a kind of nod to the original Cybermen with a slightly flower-power vibe, and a bit of a Sensorite or Rill ethic of being misunderstood. Ultimately, they’re by no means the worst thing about this version of The Underwater Menace. It’s disheartening to realise that nothing about the original is the worst thing about this version of The Underwater Menace, not even Furst going screamingly over the top on Zaroff’s ‘Nothing in the world can stop me now!’ The worst thing about this version of The Underwater Menace is the shoddy, couldn’t care less way it’s been allegedly ‘reconstructed.’ Peter Davison’s Doctor once closed an underwater story with the exhausted observation that ‘There should have been another way.’ With The Underwater Menace, there have been other, better ways already, to do everything except show us the genius of Patrick Troughton. That remains a genuine gift, and a genuine reason to get thoroughly fleeced on the rest of The Underwater Menace today.